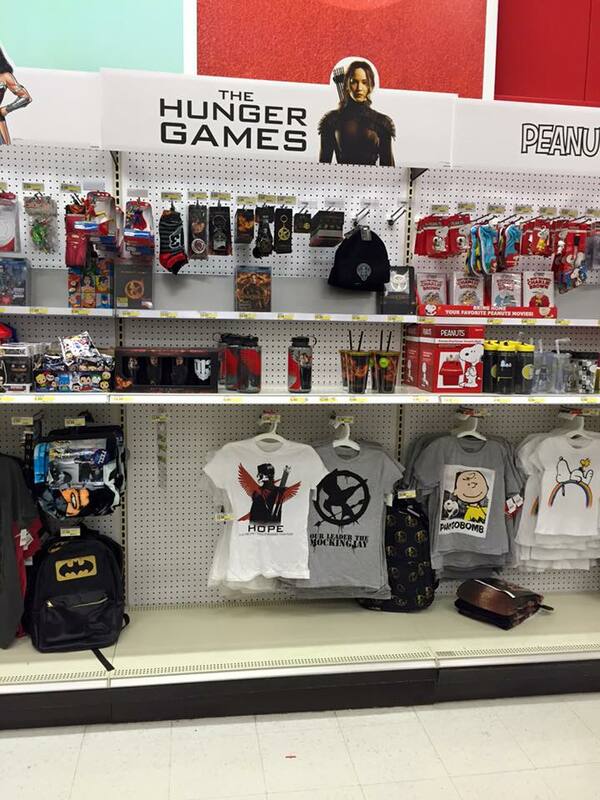 The Hunger Games: Mockingjay Part 2 (though some items may be from Part 1) merchandise was spotted in a Target store in Knoxville, Tennessee. Most of these items such as the water bottle, the 4 pack pint set, socks, the backpack and the tumbler with straw are only available in stores. So, if you want any of these items, make sure you hotfoot it to your nearest Target like you’ve just disturbed a tracker jacker nest.